Cost to hire a plumber varies greatly by region (and even by zip code). Get free estimates from plumbers in your city. Cost to hire a plumber varies greatly by region (and even by zip code). 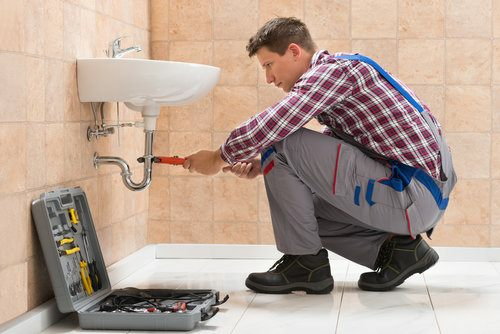 Plumbers are called to repair and install piping, to remove clogs from bathroom or kitchen drain pipes (drain cleaning), to assist with kitchen or bathroom remodels, and more. Areas with plumbing fixtures such as bathrooms, kitchens, and pool areas need piping installations performed by experienced plumbers or plumbing companies. There are some DIY methods for home plumbing, particularly for drain cleaning, but more complicated plumbing jobs such as installations require a high level of technical expertise. Plumbing services usually are structured as a flat fee cost rather than hourly, ensuring that you know how much you are going to pay upfront. However, hourly rates are often usually used to calculate the flat rate. Each type of plumbing job will vary greatly in cost because of factors that influence the project like the difficult of the drain cleaning or installation, the time required, the expertise of the plumber or plumbing company. If charged hourly, most plumbers will charge $45-$65 per hr for labor. This does not include service or inspection fees. Drain cleaning: the cost of drain cleaning which is typically performed with a mechanical plumbing snake and can range from $100 to $300. An additional fee of $50 to $100 is typically required as a service or inspection fee. Main water line installation: the cost of a main water line installation is around $1500 to $2000 for a 6-foot copper water line. Appliance installation: the cost to install a kitchen appliance varies from $50 to $200. This can be handled by a plumber or by a service professional for many types of appliances including refrigerators and dishwashers. Leak repair: the cost to repair a plumbing leak can be $100 to $250. The higher priced cost is for leaks that are more difficult to access. Piping Installation: piping installations for bathrooms, kitchens and other parts of a home or business can vary significantly depending on the complexity of the project. A standard bathroom (40 sq.ft.) 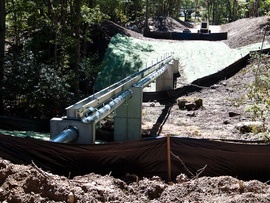 piping installation would take approximately 45 hours and would cost between $2025 and $2925. Materials such as piping can add an additional $500 to $1000 to the cost. A standard kitchen (100 sq.ft.) plumbing installation is more complex because of the larger size of the room and additional fixtures, and a standard piping installation would take approximately 60 hours and cost between $2700 and $3900. Piping materials can add another $600 to $1200 to the cost. Inspection fees for both types of installations can range from $50 to $100. If there is existing piping that needs to be removed, the piping installation will cost an extra $1000 to $3000. Sump pump installation: sump pumps are used to move water away from a building foundation. A professionally installed sump pump system can cost $1000 to $3000 not including the sump pump. An average sump pump costs $100 to $400. Water heater installation: it's essential that a water heater is properly installed and to hire a licensed plumber for safety reasons. A professional water heater installation can cost $800 to $1500 for labor. The cost of the water heater itself can range from $500 to $1500 for an electric water heater, while gas water heaters can run between $300 to $800. Installing a 5'x7' 4-person sauna costs between $2400 and $3200 including the sauna. A propane tank costs $100 to install from a technician or a certified plumber. The typical cost to install a bathtub is $1900 for a 5-foot long tub including the tub. A solar water heater can cost between $6,000 and $17,000 to install and requires a professional installation. 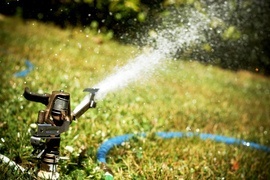 The cost to install a sprinkler system 1 is between $1500 and $2500 including the sprinklers. The cost to install plumbing for a 50 sq.ft. standard sized bathroom remodel is around $14,000 on average including the fixtures, pipes, and disposal. The cost to install plumbing for a kitchen remodel is $1700 including the dishwasher, sink, pipes, and disposal. Energy efficient water heaters can cost between $1500 and $3000 while standard gas or electric water heaters are $300 to $1500. Copper piping is resistant to corrosion and biostatic, but it is about three times more expensive than PEX piping. Water heaters that are lower in cost may not be as energy efficient as their higher priced counterparts. Emergency plumbers will charge a call out fee between $50 and $100 and will also add a premium of $50 to $75 per hour to their regular hourly rate. So if their normal hourly rate is $50 per hour, you can expect to pay $100 to $125 per hour for emergency plumbing services. Most drain cleaning jobs can be finished quickly, but sewer drains 2 that have collapsed or otherwise been permanently damaged will need to be repaired with a sewer line 3 repair service. Leaks that are located closer to the fixture (such as the sink or tub) are usually less expensive to service. 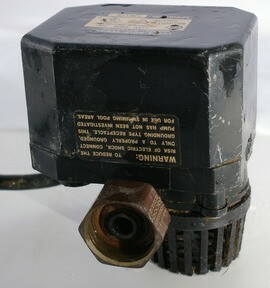 Pedestal sump pumps 4 are less expensive to install than submersible sump pumps 5. How much does it cost to hire a plumber in my city? Cost to hire a plumber varies greatly by region (and even by zip code). To get free estimates from local contractors, please indicate yours. Cost Considerations: The cost of installing a sprinkler system in a standard, landscaped 8,000 square foot lawn averages $2,500 to $3,500. Exit-point for the removal of waste materials from a home or building. 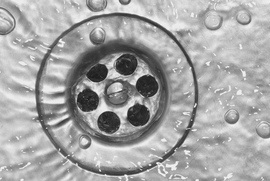 Cost Considerations: A professional will charge between $150 to $175 to clear a drain that is backed up; the DIY price is around $55. Professional costs associated with odor problems generally run $100 to $150; the DIY cost is roughly $20 (for drain cleaner). If you need a drain line installed, you will generally pay between $450 and $600 per line. Principal pipe in a sewage system. Cost Considerations: On average, the cost to have a clog in the the main line professionally cleared is $250. If you have broken or damaged pipes, pipe replacement costs anywhere from $1,000 to $25,000 depending on the pipe material and length and depth of the line. A mechanical device that stands on a supportive base and is used to remove water from wet areas, such as basements and crawlspaces, in order to help prevent flooding. Cost Considerations: Pedestal sump pumps are more economical than submersible sump pumps. The average cost of installing a new sump pump is $550 to $1,100. A mechanical device used to remove water from wet areas such as basements and crawlspaces in order to help prevent flooding. Cost Considerations: The average cost of installing a new sump pump is $550 to $1100.